When the kids got home at lunch time and I told them that we were having muffins for lunch they were over the moon, only to realize that mummy had hidden veggies in them. Preheat the oven at 200°C. Chop up the leeks and fry with the bacon, leave to cool and make the dough. 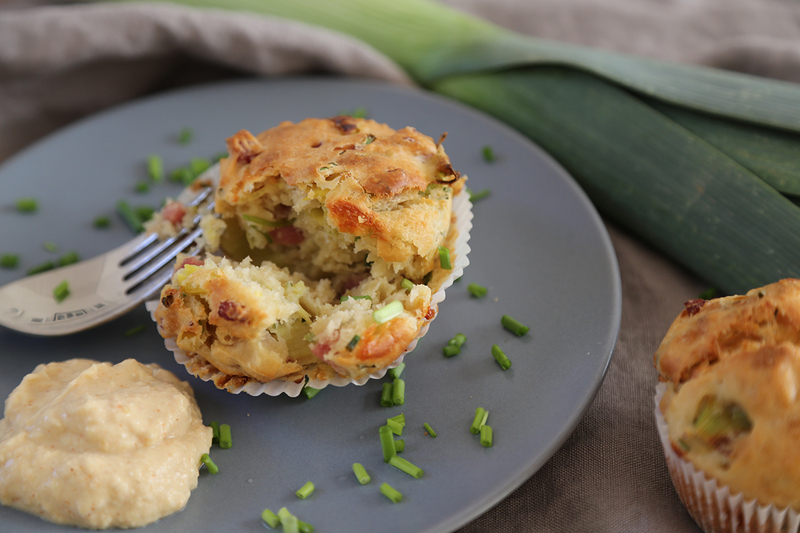 Mix all the dough ingredients together, chop up the chives and grate the cheese, add both to the dough with the meanwhile cooled leeks and bacon. Stir well and spoon into muffin tray. Bake for 20-25 minutes. While the muffins are baking you’ll have time to make the dip (and clear up). Puree the chickpeas, add the yoghurt, the lemon juice and the paprika. Mix it all together and leave in the fridge until ready to serve. The kids did complain a bit about the leeks and the chives but the bacon and the dip made up for it. I actually think they liked them. These look really good, I think I might have to make a batch. Could I just ask how many they make? Thanks, the recipe is for twelve. Great, I might have to split a beaten egg – always a challenge! It looks very good, i’m going to cook that tomorrow. Usually I use salmon flake instead of bacon. Gorgeous! 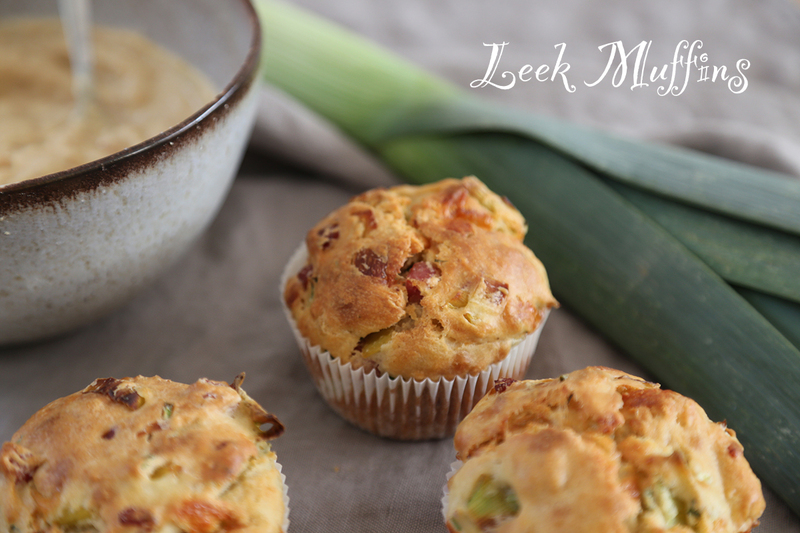 I love savory muffin and I love leek ;-). Great recipe!